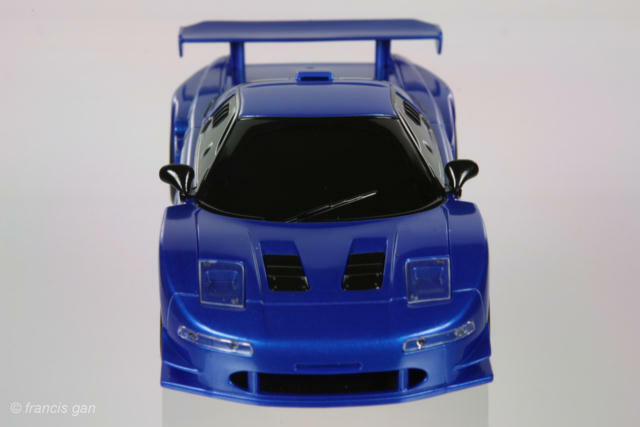 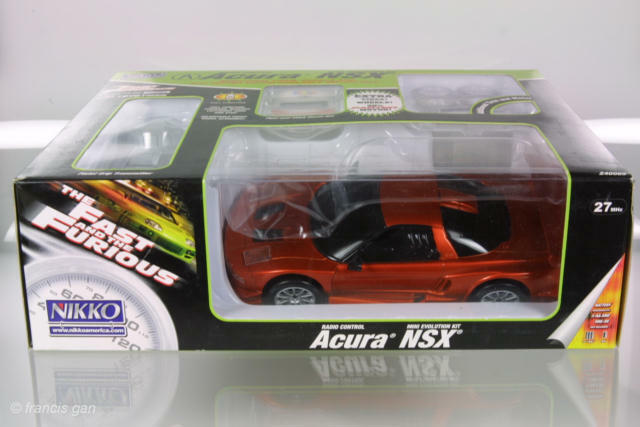 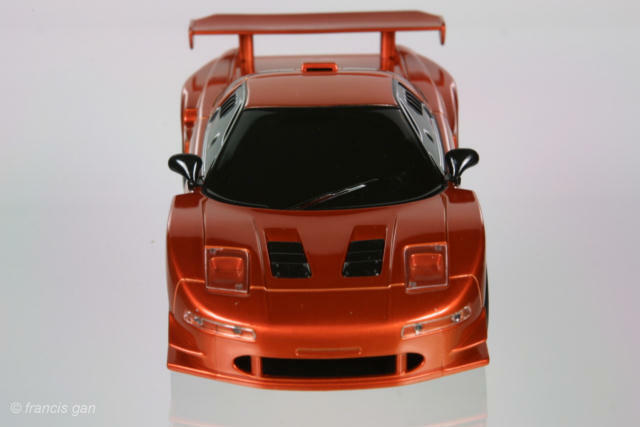 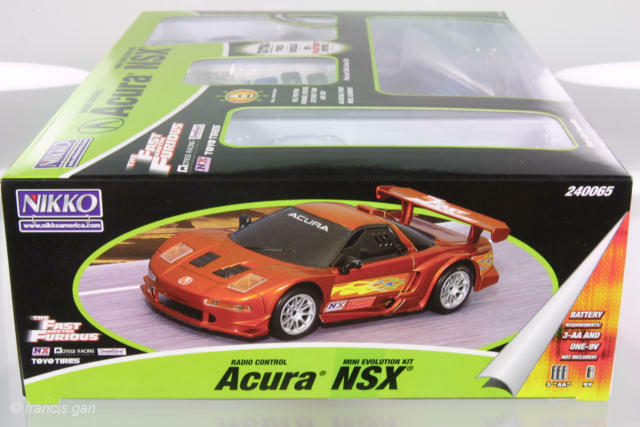 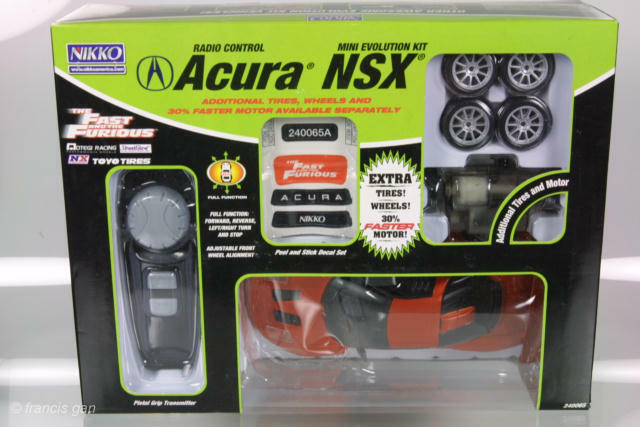 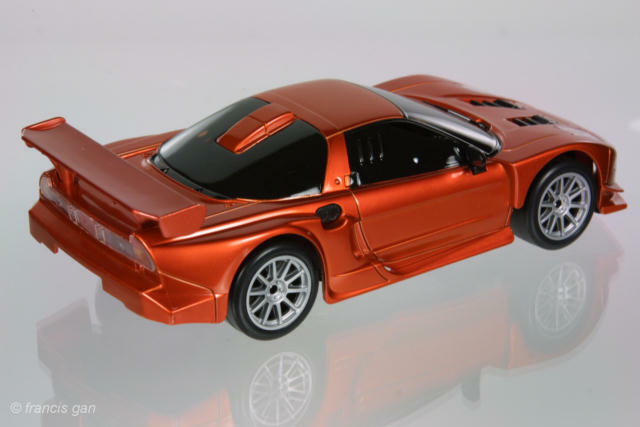 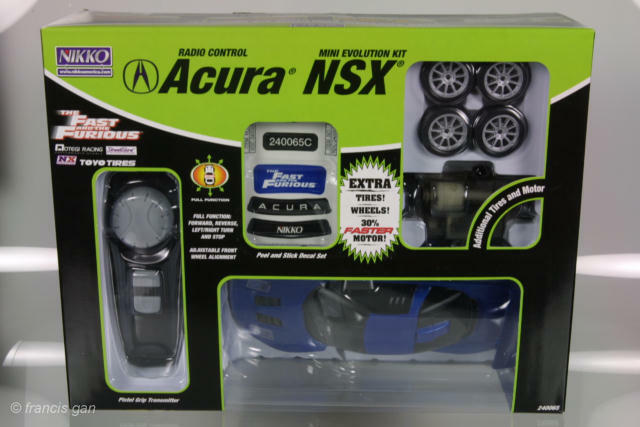 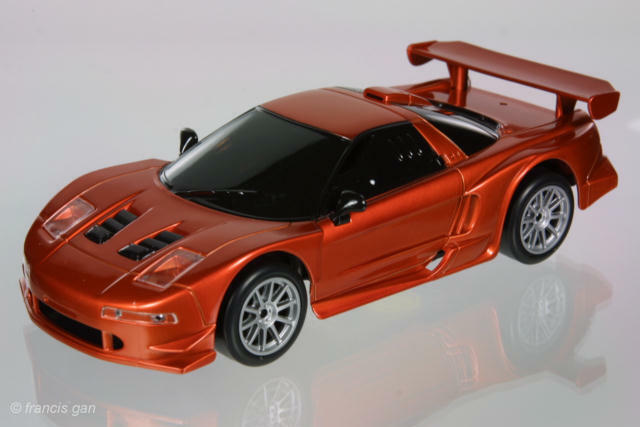 In spring 2003, Nikko added a bronze Acura NSX to their RC lineup as part of their "The Fast and The Furious" series. 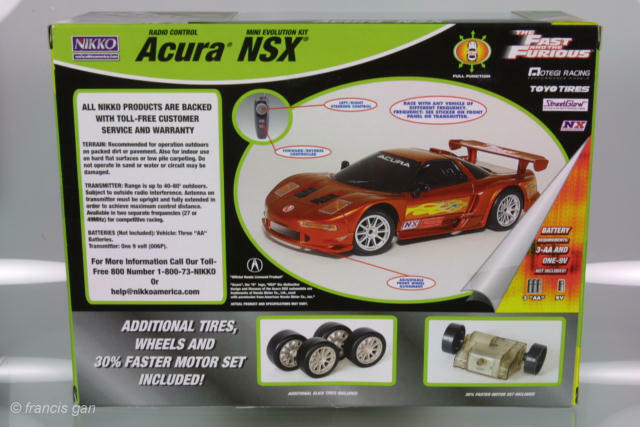 This was later followed in fall 2003 with a blue Acura NSX. 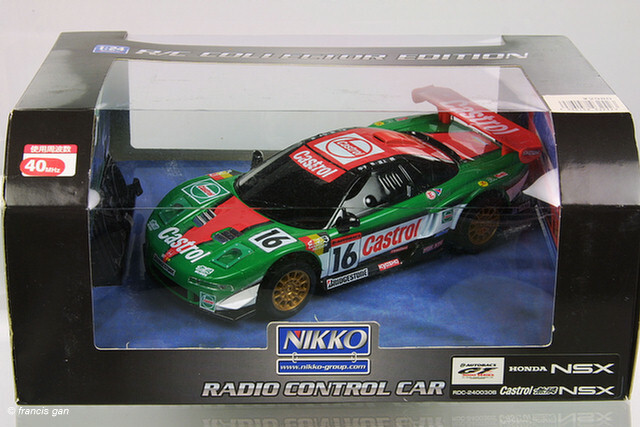 Each of these RC models come with an extra set of rims and an extra motor. 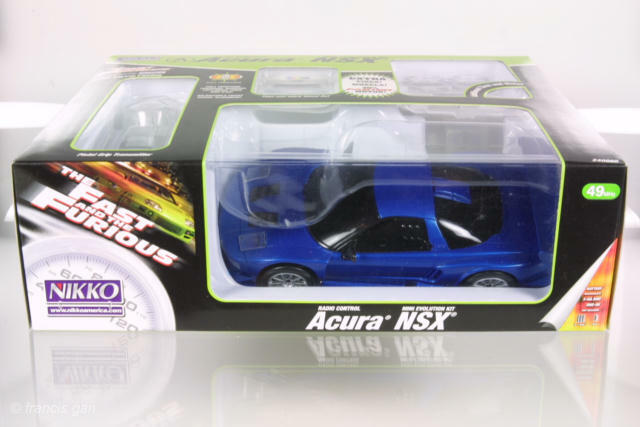 The packaging for both colors is identical. 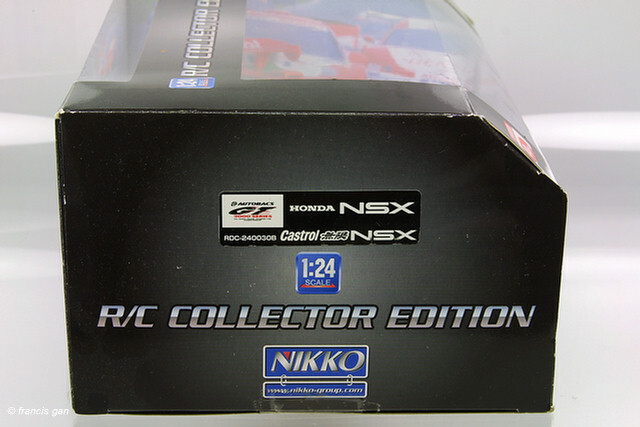 The only noticeable difference is in the decals that come in the box - the blue version has a "240065C" decal whereas the bronze version has a "240065A" decal. 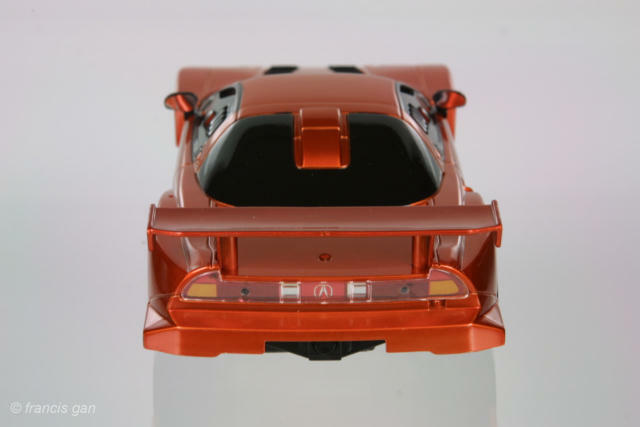 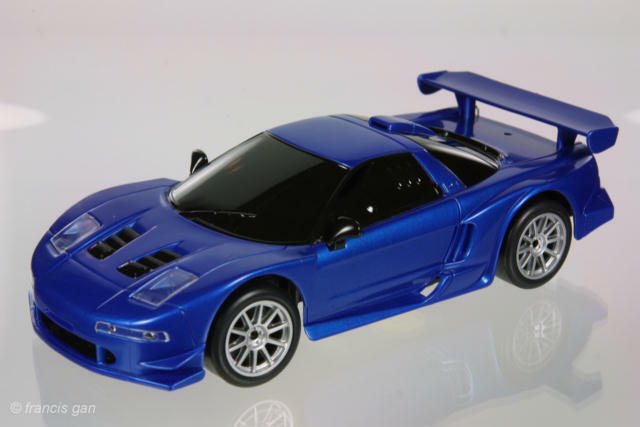 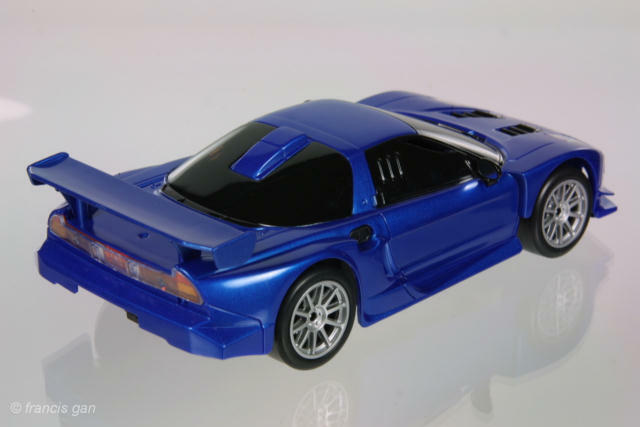 The models have good detail and represent an NSX with a large rear wing and a wide body kit in addition to clear headlights. 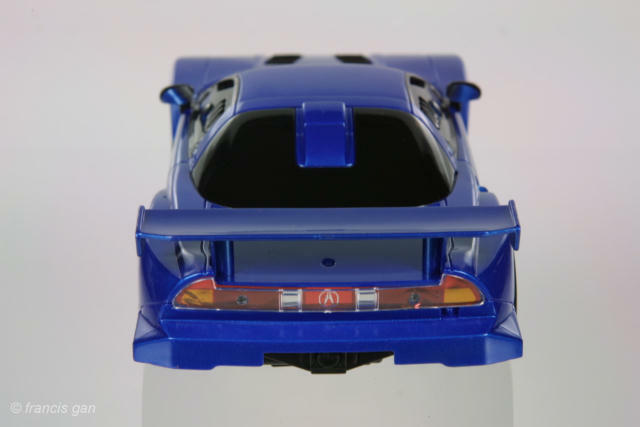 The hoods have black vents in them. 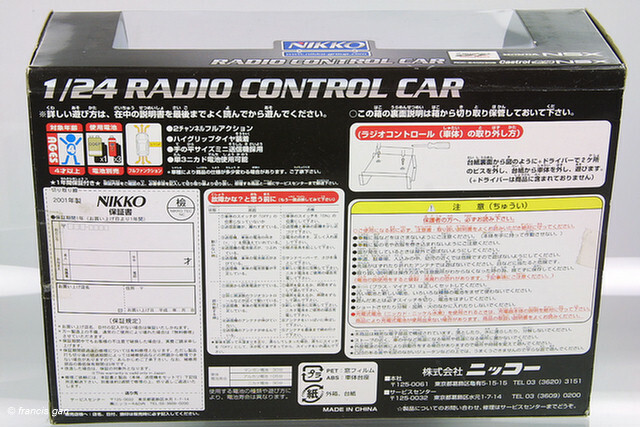 The windows are painted black with no interior visible. 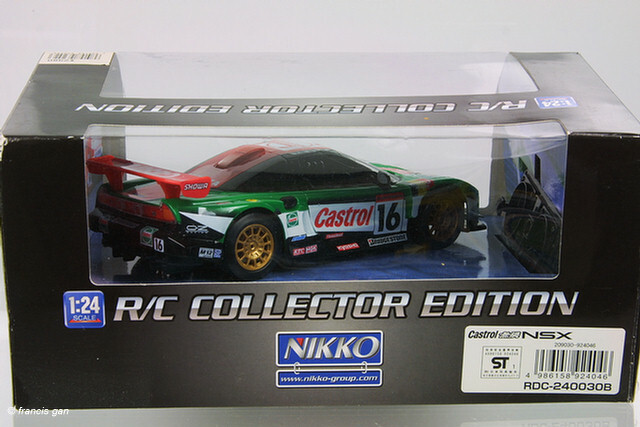 Nikko's radio controlled NSX JGTC car - released only in the Japanese market.